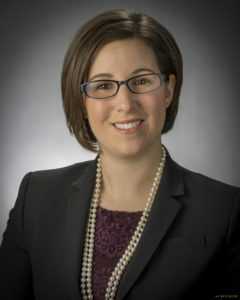 SMDK Welcomes Michelle R. Reese - Singerman, Mills, Desberg & Kauntz, Co., L.P.A. Singerman, Mills, Desberg & Kauntz Co., L.P.A. is pleased to announce that Michelle R. Reese has joined the firm as an associate attorney. Prior to joining the Firm, Michelle was an associate at Day Ketterer and an Environmental Health and Safety Technician at Labyrinth Management Group. Michelle will practice in the Firm’s public sector, commercial lending, real estate, business organization and transaction practice areas. She is very active in the local community and is on the Board of Directors for the Children’s Center of Medina County, the Board of Trustees for the Wadsworth Public Library, and is a member of the Leadership Medina County Class of 2018. Michelle can be reached by email at mreese@smdklaw.com or by telephone at (216) 292-5807.